Wow! This has got to be one of my all time favorite decor ideas. Cost efficient, lots of creative possibilities and it combines elements of water, light, earth and air. Flow with the seasons by changing the spring flowers to fall foliage or winter holly. 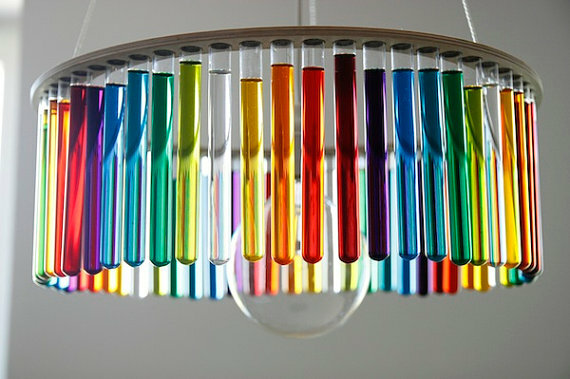 Use colored water to add a rainbow of light or shades of your current palette. 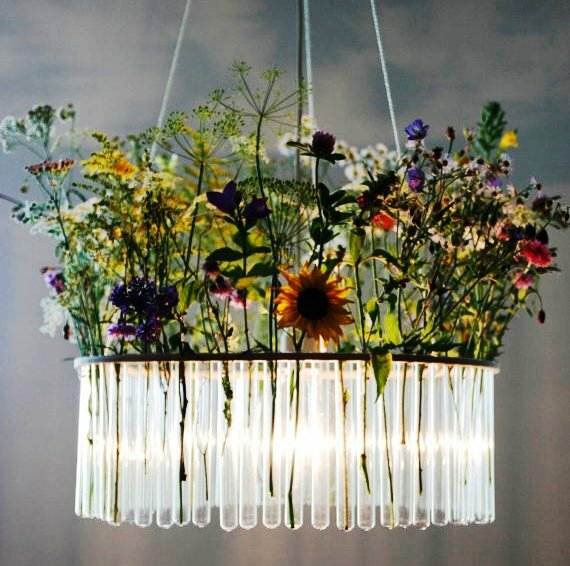 The test tube chandelier is made in Poland and was inspired by Madame Curie, the Polish chemist and the first woman awarded the Nobel Prize. Ships anywhere and is available on Etsy. Click here for order information. NOTE: Keep the glass tubes clean and clear. Change the water at least weekly – more frequently if you are using fresh flowers.